For many would-be startups, the hardest part of getting going is securing the necessary funds. A killer idea is an obvious must. But you may also need office space, data management technology, a server and development tools to bring your pie-in-the-sky proposition to the market. 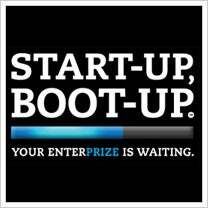 Enter the Start-Up, Boot-Up business plan competition from Contegix, a St. Louis-based hosting and cloud computing company. The competition promises to award more than $75,000 in technological tools -- including brick-and-mortar office space -- to the startup that best demonstrates how its new product or service is different, faster, cheaper and better than the competition's. The Start-Up, Boot-Up competition is open to startups or entrepreneurs that launched in 2010 or 2011. An independent judging panel comprised of representatives from ReadWriteWeb, the St. Louis Regional Chamber and Growth Association and Saint Louis University’s Center for Entrepreneurship will select the winner. Those judges will evaluate the entries using criteria that include competitive differentiation, future growth plans, sales strategy, the promise of commercial success or positive social change and dependence on cloud technology. Applications are being accepted through April 10, 2011, and the winner will be announced in early May. The winning startup will walk away with a package worth in excess of $75,000. That package includes free office space for one year in St. Louis, a Web and database server managed by Contegix, as well as upgrades and unmanaged development tools. Oh, and the winner will also get an espresso machine, 10 T-shirts and two passes to Strange Loop 2011, an upcoming software developer conference in St. Louis. Of course, if you're not based in St. Louis -- and don't want to relocate -- there are a number of other business plan competitions worth vying for.